There are many benefits of owning a Solano. You and your hair deserve the best. The best stylist. The best colorist. The best products. So why do you risk it all with a cheap hairdryer? We see damaged hair on at least one new client each week. Most often we find out they’ve been using the same $20 dryer for the past three years and it ends up burning their hair. At Rick Mosley Hair, we recommend, sell and use Solano appliances that are designed and built in Italy. They are quite dependable and some are lighter weight than a water bottle. They add shine, improve moisture and reduce static, all while drying your hair quickly. The key to a quality hairdryer is the motor. When taken care of, Solano motors will perform for more than 1,000 continuous hours. Hair products have come a long way in the past ten years. Another thing to look for is ionic technology. While cheaper dryers have an electric coil that heats the hair until the water evaporates, ion technology will positively charge the ions in the hair to make the water molecules break down before fully drying it. This improves moisture and minimizes static electricity. In fact, Solano is dedicated to providing the latest innovation in the industry including all of the latest technologies from ceramic and silver nanotechnology to tourmaline. Hairdryers can cost anywhere from $15 to $500. While we don’t recommend spending your life savings, but a $150 investment in a Solano now will pay off in the long run. They even come with a two-year warranty and anything beyond the warranty only requires a $30 service fee to make it like new. Solano even guarantees that repairs will be made and returned within two business days, and they cover the return shipping. This keeps more Solano products in the hands of stylists and consumers, and out of landfills. Is it your time for an upgrade? If so, stop by Rick Mosley Hair today to try a Solano hairdryer. We think you will immediately see why Solano products have been preferred by clients for 30 years. Tired of your long locks but not ready for a pixie cut? 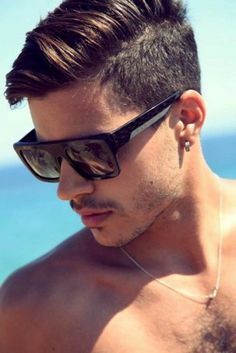 Looking for that perfect hair cut that is not to short and not too long? Join Mary-Kate Olsen, Jennifer Aniston, Jennifer Lawrence and the many other celebrities who have recently chopped their hair for that just-above-the shoulder look. At Rick Mosley Hair, we’ve been giving many clients the lob – or long bob – look. From straight to wavy, this style looks good on all hair types and face shapes. Many lobs feature hair that is slightly shorter in the back than the front to give a slightly asymmetrical look. 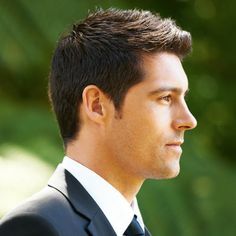 It gives hair great movement, and the best news is it continues to look stylish as it grows out. Many clients appreciate the long bob cut because they can still pull their hair back into a short pony tail. Thinking of a new look for the New Year? Stop by and meet with one of our professional stylists to find out if a lob is right for you. You also are invited to visit our Lob board on Pinterest. Extensions – Quality Makes a BIG Difference! This photo, courtesy of Hairdreams, shows how extensions are a great option for customers who want to add up to 22 inches in length. At Rick Mosley Hair, we pride ourselves on using the highest quality products available and the hair we use for extensions is no exception. After much research and testing, we have selected Hairdreams as our preferred hair provider. As you can imagine, there is a big difference between the hair we use in our professional salon and the hair available at your local drug store or some other salons. The things you want to consider and look for include the health of the hair and the proportion of its tapering. Healthy hair has shine, elasticity and bounce. Much of this is due to the state of the cuticle layer – it should be intact and closed – and how the hair has been treated. The hair we use has been minimally treated and is of the highest quality. It can even be re-attached up to two times, which saves you the cost of purchasing new hair each time you add extensions. It is available in about any color you could possibly want and once it is attached, it can be treated or styled just like any other human hair. If you go with other lower cost options, be careful that the hair isn’t coated in silicone. This gives it a great and shiny look at first, but can become a nightmare in a week or so once the silicone dissolves. Tangling is a big issue for people who use low-quality extensions. When you look at your natural hair, it is tapered in a way so that only about 5 percent of your hair is the longest length. When you choose Hairdreams hair for your extensions, you are able to add hair strands that are all the same length (not as tapered), which in the end requires less strands (cost!) and application time. At Rick Mosley Hair, we exclusively use 100 percent human hair, which is collected from around the world in accordance with strict ethical guidelines. It comes in two quality options – basic and special. While we highly recommend using “special,” we are confident in the quality of the “basic” hair for clients who need a lower priced option. We’d be more than happy to discuss these options when you come in for your consultation appointment. One more thing we’d like to point out is that when attached properly, extensions shouldn’t cause you pain and they shouldn’t break your natural hair. You hear about these horror stories when the bonds are attached directly on the scalp. Our team is trained to place the bonds 1/8 of an inch out from the scalp to prevent any of these types of issues. Check back next week to learn about the special daily care extensions require.